A home without compromise. For those with a very full life, the penthouse residence is the ultimate gift. Exit your private elevator to either an intimate courtyard or grand entry hall with sightlines to the terrace and gently lapping waves beyond. Entertain around the four-person kitchen island, in the generous living room or on a terrace that spans the entire length of the home. 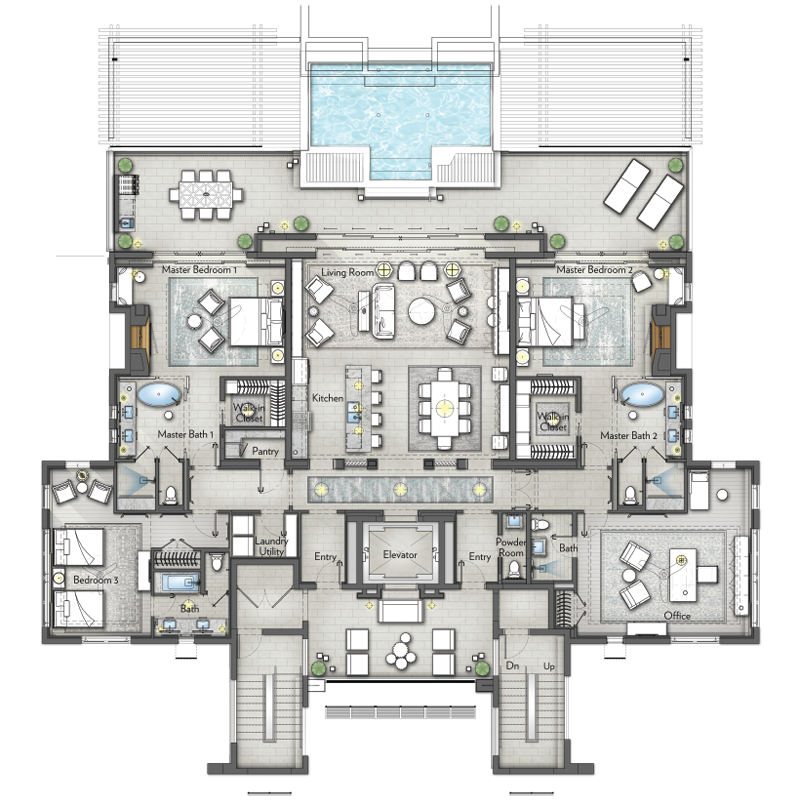 Two master suites, a third bedroom to ensure everyone's comfort, and a flexible fourth bedroom or large office accommodate whatever the day may bring.